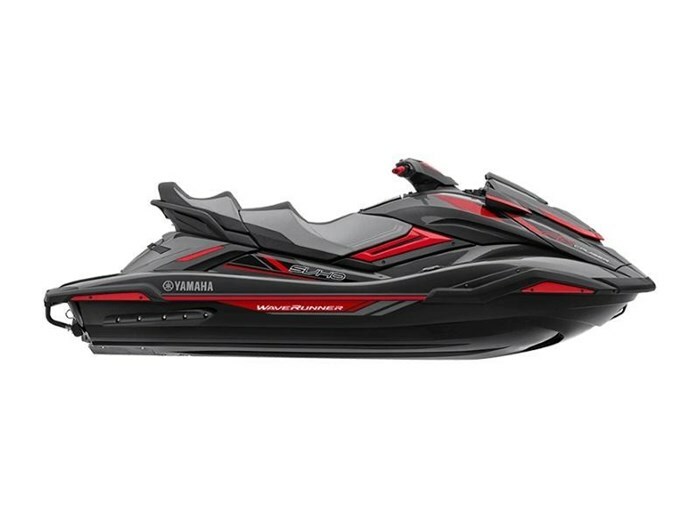 2019 Yamaha FX Cruiser SVHO CONQUER WATER High performance meets comfort and style in the FX Cruiser SVHO. Powered by Yamaha's race-proven, supercharged Super Vortex High Output marine engine, this machine combines a dynamic driving experience with high-end luxury appointments that create a one-of-a-kind ownership experience. ALL-NEW CONNEXT TOUCHSCREEN FX owners now have the power of Connext at their fingertips. An industry-first touchscreen, Connext serves as the information hub for every aspect of the WaveRunner experience, and provides a suite of functions like security mode, thrust directional enhancer, drive control and more. RIDE TECHNOLOGY The world's first dual handlebar throttle control system is easy and intuitive. Pull the right lever to go forward, and the left lever for reverse. Pull them both, or in any combination, and the system reacts with precise control. NEW MULTI-MOUNT SYSTEM Every model in the FX Series is compatible with an innovative new multi-mount system that allows riders to personalize their ride with accessories like speakers, GPS systems, cameras and more. *Accessories sold separately* Features may include: THE POWERPLANT The FX Cruiser SVHO is powered by Yamaha's all-new 1.8L supercharged, Super Vortex High Output Marine engine that is the most technologically advanced engine ever designed for a personal watercraft, delivering up to 20% more power and torque than any engine ever in a Yamaha WaveRunner personal watercraft. Wet Sump Lubrication: Uses two engine oil pumps to deliver lubricated oil to each moving part with water-jacketed sump and oil backflow protection. THE JET PUMP PROPULSION SYSTEM New Pump: A race-inspired 8-vane, 160mm pump delivering competition level thrust never seen before on a production watercraft from Yamaha Stainless Steel 3-blade Impeller and Housing Liner: For superior resistance to wear and long term durability while maintaining accurate clearance tolerances between the impeller and the housing for consistant performance. NANOXCEL HULL & DECK NanoXcel 2 : New for the FX Cruiser SVHO is the second generation of Yamaha's proprietary lightweight NanoXcel hull, deck, and liner material. NanoXcel 2 reduces the weight by 46 lbs while maintaining the structural integrity of the watercraft. Lightweight and responsive, the NanoXcel hull has been designed with a full keel for confident straightline tracking while the full-length, outside chines provide greater stability.